Off to a christening in the near future and not quite sure how you're meant to dress? What do you wear to a christening Well we here at The Idle Man have all the answers for you. Whether you decide to wear a suit or just a pair of chinos and a shirt, then we've got the advice for you, to make your day as stress-free as possible. At one point in your life, it's highly likely that you'll end up going to a christening. Whether it's your niece, your son or your soon-to-be god daughter, you're going to want to look your best. Unless your hosts have said that you need to wear a certain thing or that there is a certain theme, you're pretty much given free reign over what you can wear. What to wear to a christening for men is an easy task so don't stress. Church events have become gradually more casual over the years, but your outfit should still be kept to a modest decency, as at the end of the day this is still a church. Another thing to note is that churches are extremely cold (typically) so take a jacket with you - christenings can be long. What you wear in church basically reflects your mood - if you dress decently you will be showing that you want to pay respect, whereas if you don't then you'll be doing the opposite. You're probably thinking, what on earth do you wear to a baptism? We think that christening attire should be an easy thing to get right. We've narrowed down your options to make a simple task for you on the day. Suits are definitely the most popular choice and we think that's the route you should down, personally. When it comes to a christening, there really is no wrong and right unless otherwise stated by the host. The aim is to look smart, just like you're going to a wedding. In fact, christening etiquette is basically the same as it is for weddings. So what do you wear to a baptism? Typically there is a formal church service where the baptism will take place and then guests are invited to a drinks reception post ceremony. You'll need to nail your church attire, which actually is pretty easy. 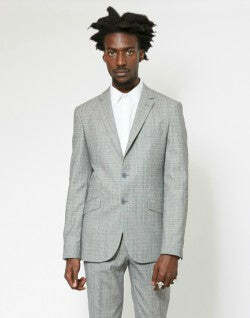 We suggest a full suit, and luckily for you The Idle Man has an excellent tailoring range that will cater to your needs. A grey suit is an excellent choice, perhaps wool or in a Prince Of Wales check. We advise against wearing separates because this will look too casual and you're more likely to get it wrong (mixing your suit may seem like a simple idea but it's actually very difficult to get right, so don't attempt if you're unsure). While we are typically advocates for mixing matching your suiting, but when it comes to a christening (or a wedding) it can look a little too informal. 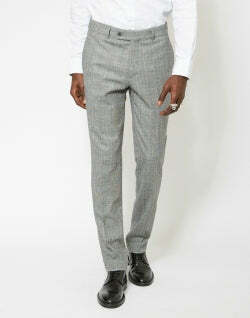 Instead of for a full suit (although ditch the waistcoat). 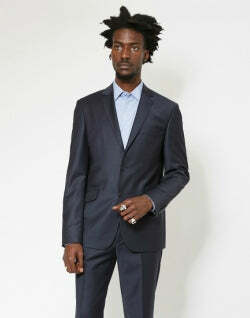 A navy suit is man's best friend when it comes to parties - they're the right side of playful and a step away from black. Pair your navy suit with a pair of black or brown shoes. If it's a more informal event and there is indeed a party after, we recommend investing in a navy suit. During the winter months a darker suit is always a good idea (think navy or charcoal) and when it comes to a winter christening, the same goes. Winter tends to be the more sombre time, so especially if it's raining we suggest going for maybe a chocolate or dark grey suit. A summer christening is when you can have a little more fun with colour when out comes to your outfit. While we're not saying wear a bright yellow suit, we are saying now is when you should paler greys and stone-coloured suiting. Can You Wear Black To A Christening? Absolutely not. Black should be kept to funerals and work - two morbid events where the colour is acceptable. Christenings are meant to be celebrations and wearing black is the last thing that screams celebration. So just avoid it. Keep your accessories to a minimum - you don't want to receive odd looks from the baby's grandmother. The same goes for shoes, this isn't a fancy dress display so just stick to muted tones and avoid colour. In the winter avoid wearing shoes made of suede - you never know when it might start to chuck it down. 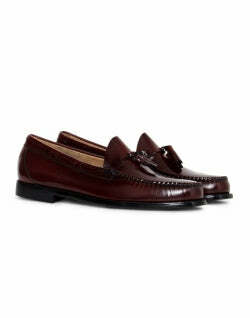 Wear shoes that you want to impress in, you know the ones you wore to that interview or to your friends wedding. If you're related to the baby, chances are you're going to be meeting a lot of senior relatives. A tie is not strictly necessary, especially when it comes to the summer. Even in the winter one isn't necessary, but again this depends not he preference of the hosts and if they have said how formal the ceremony and therefore attire are going to be. Never wear black - it's not a funeral. Grey is a great colour - go for a wool or Prince Of Wales check. Navy is also a good option - nothing too over the top. 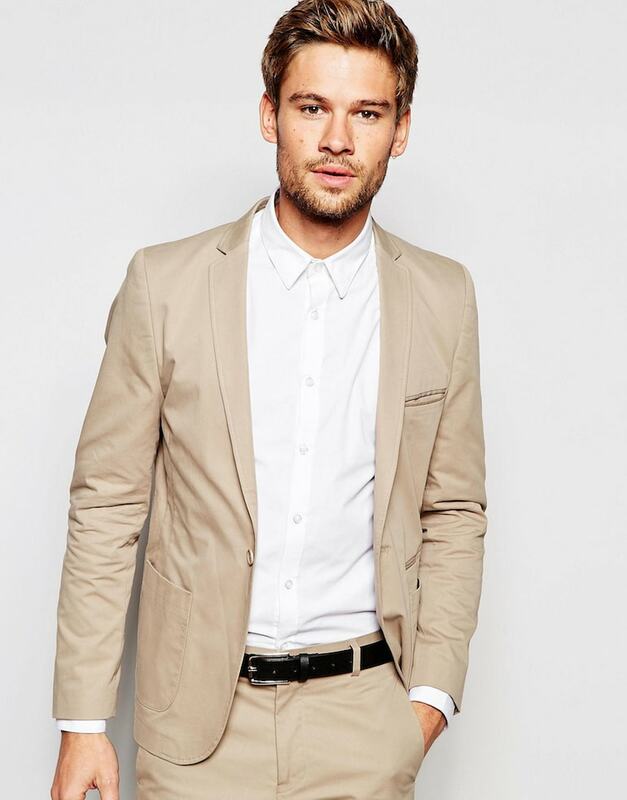 In summer, go for a lighter coloured suit - stone or tan is always good and you don't need to wear a tie. Christenings are jolly affairs and they are often quite light-hearted, which means the dress code is often the same. We recommend avoiding dark colours and going for a light stone, grey or navy suit - never ever wear black.